March is the month where winter transitions to spring in South Korea. We want to see and experience snow but what should we do to make it happen? I just decided that we should go to a ski resort. 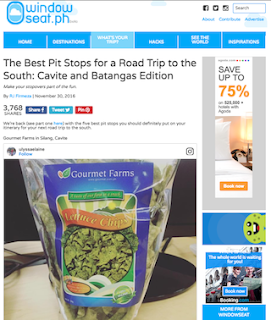 I got this idea from the famous bloggers, Vern and Verniece. 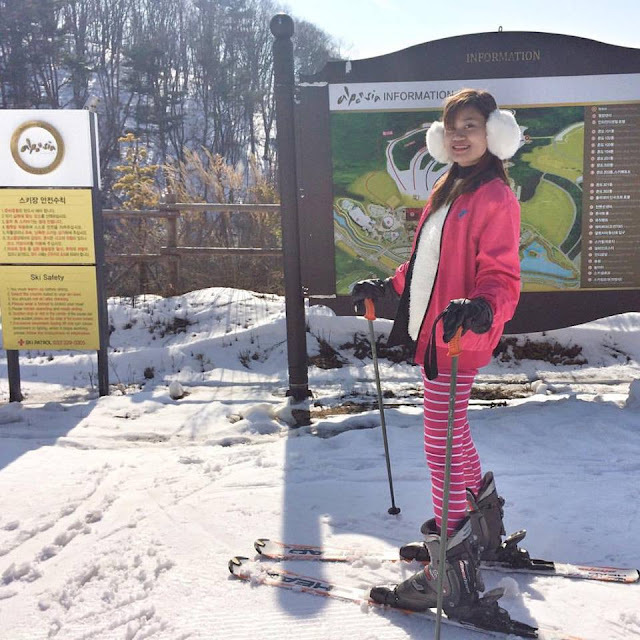 They traveled to Alpensia Ski Resort last January 2016. 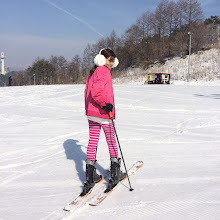 Alpensia Ski Resort is a ski resort and a tourist attraction located in Pyeongchang, South Korea. It will be one of the venues of the 2018 Pyeongchang Winter Olympics. After the Olympics, it will also host the 2018 Winter Paralympics. It has six slopes for skiers and snowboarders to enjoy. There are three main hotels located in this resort village: Intercontinental Hotel, Holiday Inn Hotel and Holiday Inn Suites. Without further ado, I researched on how to get there. 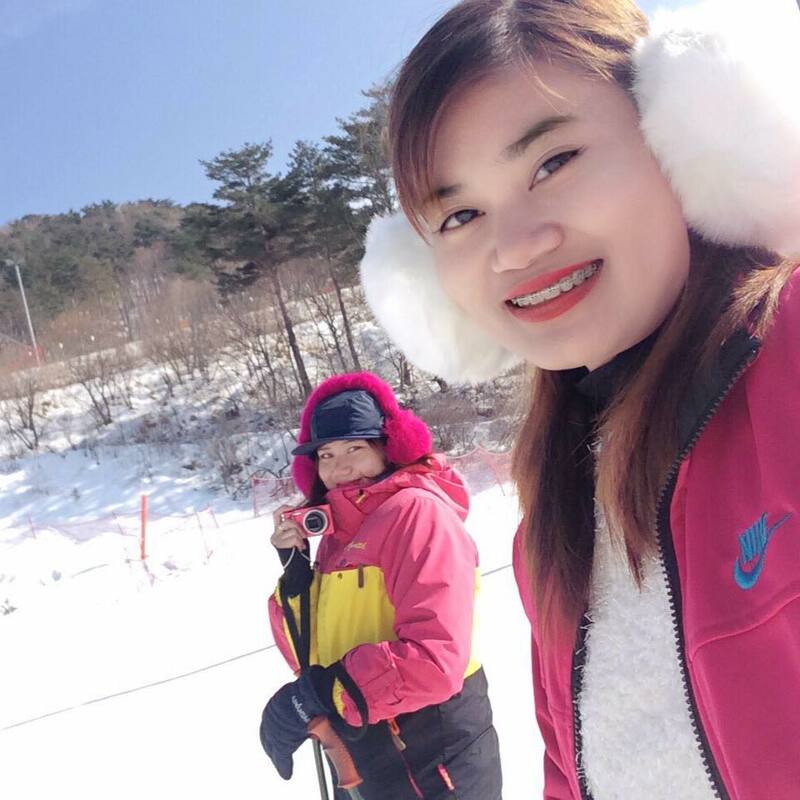 There are so many tours offering for roundtrip ski bus. There are also packaged ones. Because I want to make sure that we're safe on our first sisters' bonding trip abroad, I just availed the Purple Ski Bus from its TripToKorea.com website using my BPI Prepaid Card. After I booked our roundtrip bus tickets, I received a confirmation email from them. 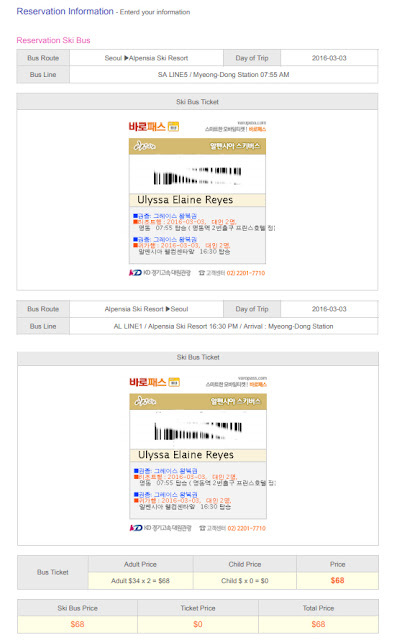 It costs me USD 68 (two persons) for our roundtrip bus tour from Myeongdong <-> Alpensia Ski Resort. Purple Ski Bus is the main and convenient transportation to get to the ski resort. 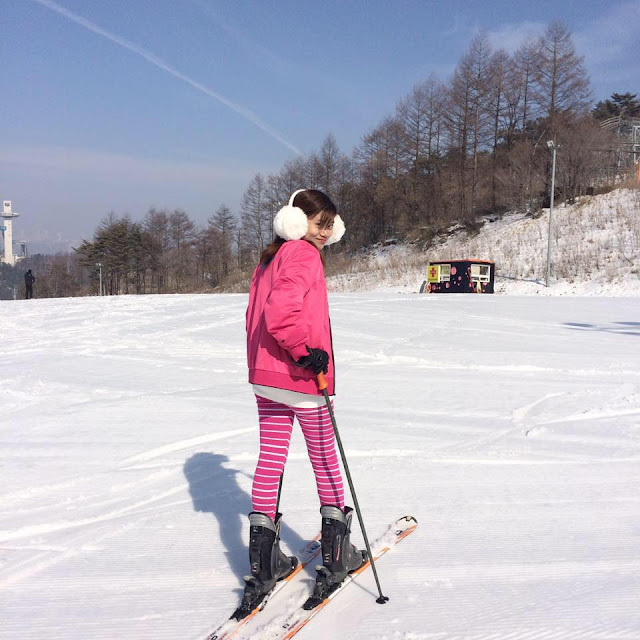 It also offers transport to neighboring ski resort, Yongpyong Ski Resort. The bus point in Myeong-dong station is in front of Prince Hotel. 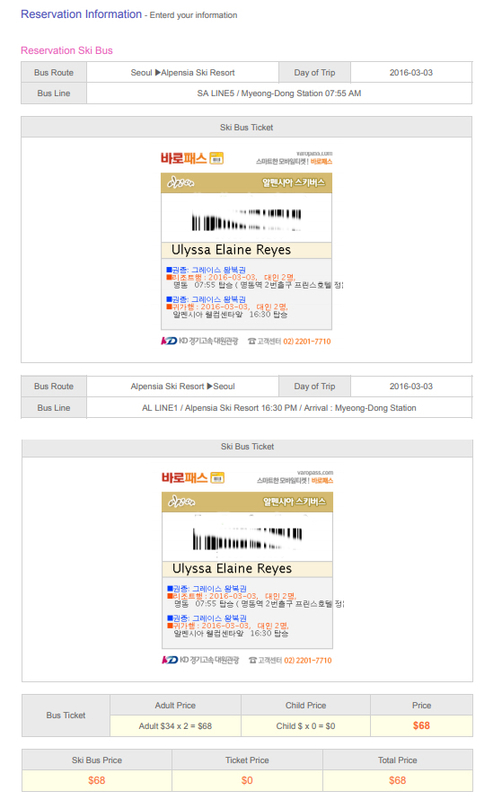 The Alpensia resort bus arrival and depart bus stop point is in front of the welcome center: Holiday Inn Hotel. I'm really afraid of heights. Good thing my sister is not so she was able to capture our ski lift experience. 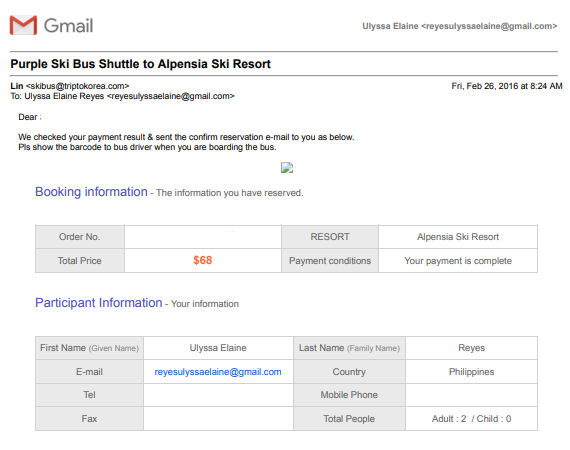 We availed roundtrip ski lift tickets for 2 persons. We really enjoyed our first ski experience. Hopefully, we will go back here soon after the Winter Olympics 2018. How about you? Have you been to this place? Share your experience.